Home Review Want to buy a new phone? there are the 5 reason you should buy oppo F9 pro. Want to buy a new phone? 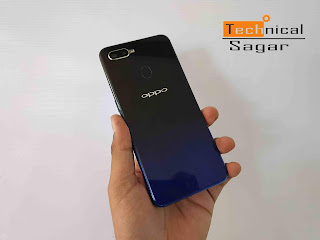 there are the 5 reason you should buy oppo F9 pro. Oppo has designed F9 pro to be visually appealing and instantly recognizable. 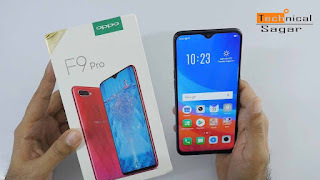 Oppo F9 pro is designed for the consumers who want to crazy looking device which can capture stunning selfies and can also take care of their multitasking needs. 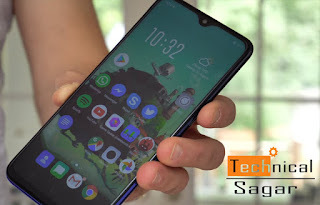 Oppo F9 pro was the first smartphone to bring the waterdrop notch display in the market. And Oppo decided to experiment with the looks and had released three gradient colour option (Purple, Twilight blue, Sunrise red). The real panel of the device is carved out of plastic which can be easily mistaken for glass and shows diamond imprints when light falls on it. The plastic casing used for the real panel is of good quality and doesn't looks cheap when held in hands. And oppo has proved that we don't need to stick with the usual single colour scheme for the smartphones. The Oppo F9 pro offers a big 6.3 inch LCD capacitive touchscreen with the waterdrop notch on top of it. The display offers a screen Resolution is 1080~2340 pixels with 409 ppi and it has gorilla glass 6 protection. The display is bright and the sunlight visibility are also of decent quality. It would not be wrong to say that F9 Pro has a best display under 25,000 price range. The handset has a massive 25MP selfie camera with f/2.0 aperture. The selfie look crisp and vibrant, you don't need to edit the selfie before posting them on social media. Oppo F9 pro has 16/MP f/1.8 and 2MP f/2.4 secondary camera. The real camera captures some detailed images and produces Natural colours without over-saturating the final image output. The Oppo F9 pro is backed by an octa-core mediatek helio P60 SoC with an Integrated ARM Mali-G72 GPU for Graphcs. It has 6GB of Ram and 64GB of internal storage. Play heavy games could not be a pleasing experience as you will notice a slight lag in the performance. The device does get a little warm while playing heavy games. The device can handle multitasking quite well and doesn't go haywire while using multiple app at a time. the devise uses colorOS v5.2 and has received the july 2018 security patch recently As for the further updates, oppo has not revealed any information on whether it will release any other security patch or android updates in the near future. The battery of Oppo F9 pro is excellent as it charged super fast. On charging of 40 mins, It get 75% charged and if i charged 5 mins. The talk-time last 2 hours. The battery capacity is 3500 mAH . Oppo F9 Pro current markit price starts At - 21,775.